Give warmth and joy to loved ones. Or to yourself. Just order the delivery of this postcard at the postal address. If you want, you can sign it. Within a few days, the postman will put it in the mailbox, and you'll have the opportunity to see the quality of design cardboard and beauty of the print. 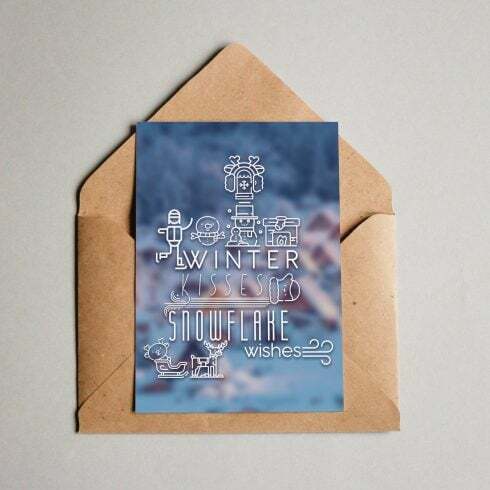 You will receive a postcard with our unique typography design, printed on a heavy paper card (or in .tif format). You can send this Greeting Card to your friend or beloved person with a single click. This breathtaking postcard could soon be yours! Format A6 (105 x 148 mm). The back is blank, so you can let off some creative steam. 🙂 We will print it, sign it (there’s a special field in the booking form you can fill with short text) and send to the address you mention. By the way, we have a cool blog post How to Write a Greeting Card. Check it! 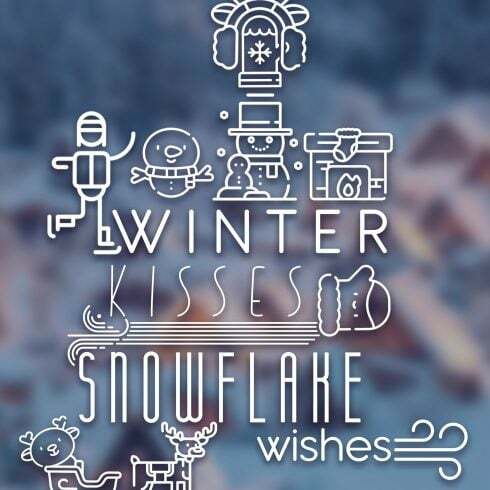 How to design a winter Postcard?